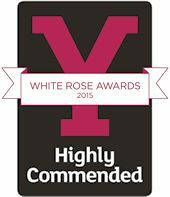 We are thrilled to have been Highly Commended in the 2015 White Rose Awards, the largest tourist awards scheme in the country. We are a family company, offering holiday hire boats in Yorkshire since 1980. We also offer private moorings in Sowerby Bridge, with full boatyard services and repairs. Our fantastic team brings huge skill to looking after the boats, and great care to looking after our customers. We’re lucky to get great feedback - see our customer blog and reviews. See the results of our photographic competition. For answers to lots of common (and sensible) questions, see our FAQs. Or just drop us an email with your query and we’ll respond quickly. We don’t offer day trips or passenger boats ourselves, but here are the firms we recommend. Where to stay the night before your holiday. We have an informative colour brochure. You can read it now, download a pdf or ask us to send one by post. To help you find out more about the canals, and how to get more involved if you’d like to, see our links page. We also list more general resources.